The EU officially launched free trade talks with Australia and New Zealand on Tuesday, part of Europe's desire to promote free trade deals against the increasingly protectionist stance of the United States. The pursuit of the deals also sends a challenge to Britain, which has made deepened links with its Commonwealth partners a priority for its post-Brexit future. "Today's decision to open trade talks with Australia and New Zealand is... a reminder to the world of the EU's commitment to openness, free trade and global cooperation," said Emil Karanikolov, minister of economy of Bulgaria, which holds the EU's rotating presidency. 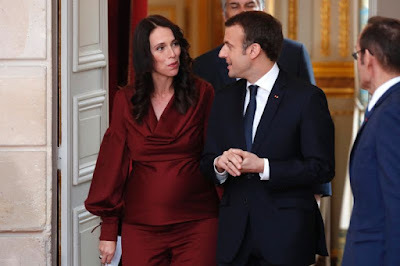 The EU underlined that the trade deals would put the emphasis on industrial and manufacturing sectors, and not agriculture, with fears high in Europe that meat and dairy products could pour in from the southern hemisphere. "The mandates do not envisage full liberalisation of trade in agricultural products, which are foreseen as benefiting from specific treatment," an EU statement said. 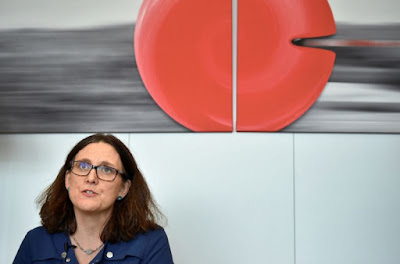 The EU's top trade official Cecilia Malmstrom welcomed the mandates adding that the deals would be "win-win" for both sides. "Starting these talks between likeminded partners sends a strong signal at a time where many are taking the easy road of protectionism," she added. The decision to launch the talks was taken at a meeting where EU trade ministers were also set to discuss the ongoing trade row over with the US administration.